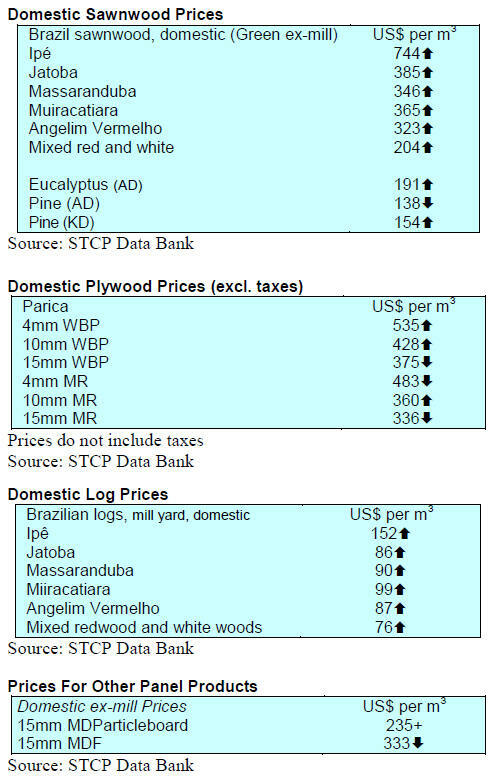 adjust supply and avoid a build-up of log stocks. availability has fallen in recent months. millers to cut production or temporarily close the mills. signaling a solid foundation to demand. which encouraged importers to expand stock levels. period was euro 105.77million, up 47% year on year. from the Nigeria Central Bank is implemented. of Ghana (BoG) increased interest rates from 24% to 25%. 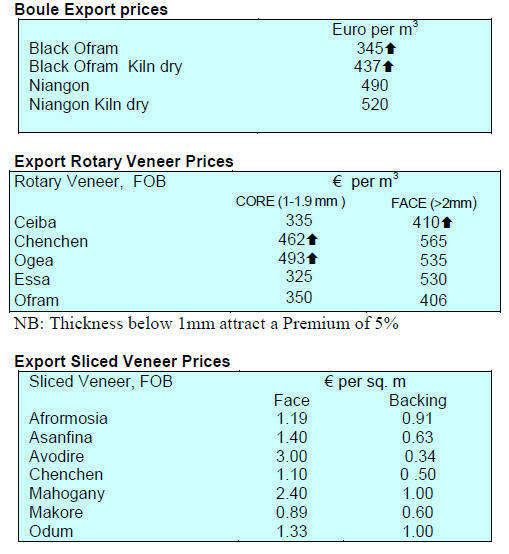 petroleum products and the impact of the weakening cedi. 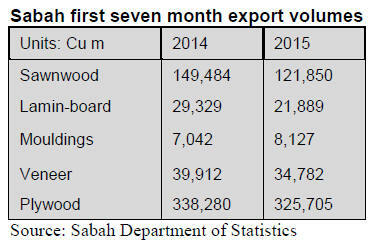 exports at RM3.33 billion (31.8% of the total). 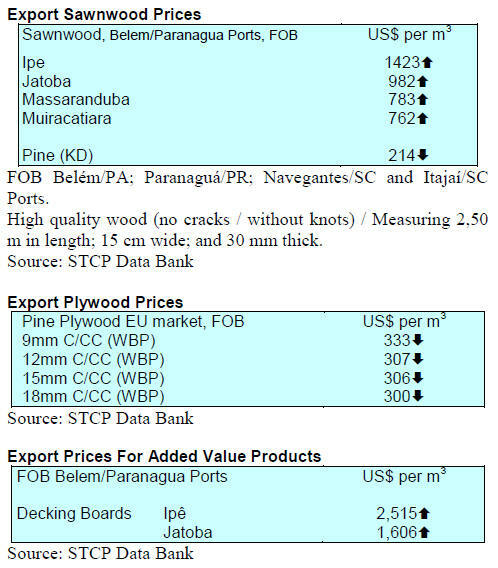 cu.m or 8% of total plywood shipments. total log exports in the first half of this year. 4.5%, mouldings 3.3%, veneer 5.7% and plywood 63.7%. increase were accepted in the main markets. Sarawak. The dry weather facilitates felling operations. Coated formboard panels UCP US$ 620/cu.m. attracted exhibitors and participants from 18 countries. 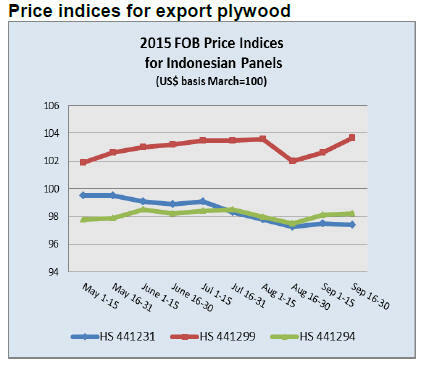 manufacturing and wood processing in Indonesia. considerably higher than in either the 2013 or 2014 shows. working group on trade and investment with EU. to attract investment in manufacturing. EU over the past five years was a disappointing 1.1%. Merchants Federation (MFPMF) also attended. 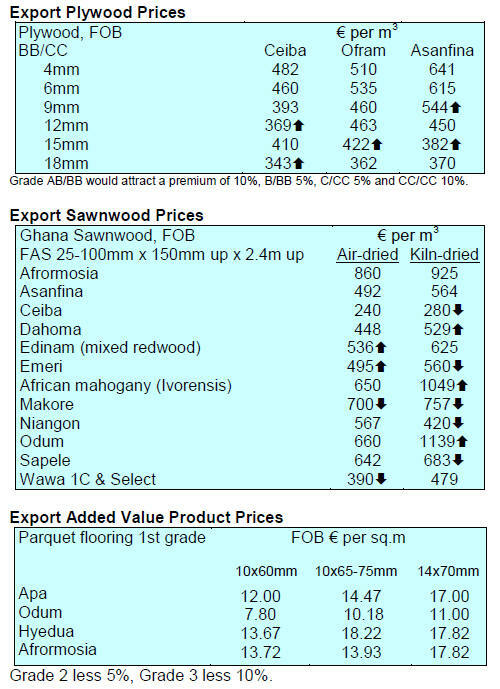 legally of Myanmar¡®s wood product exports. lifting of the US trade restrictions. Director General, NGO¡®s and local businessmen. Management from China¡®s State Forestry Administration. 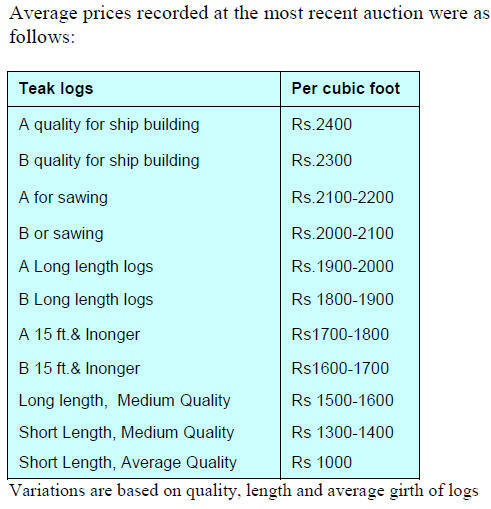 and as such all log exports are illegal under Myanmar law. which has been widely publicised. Enterprise by tender on 24 September 2015.
lengths) are 1ft to 2.5ft. or increase their business in India. transportation, water, wastewater and the power sector. growth of India's infrastructure sector. 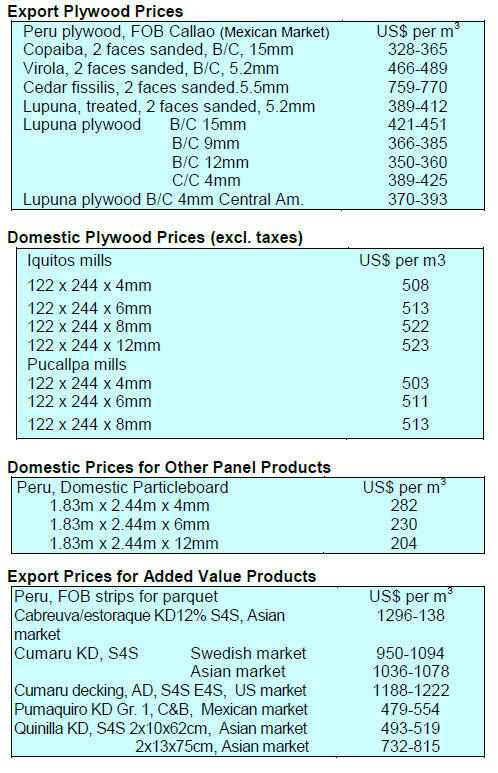 by plywood manufacturers to raise prices. range of finishes appreciated by consumers. overlays have been found easy to work mechanically. the use of which is growing rapidly in India. for components for cabinets etc. Dangs Division in the State of Gujarat. 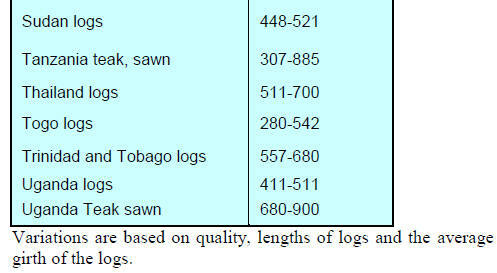 the quality and dimensions of the logs offered. weeks price adjustments are anticipated in the near future. 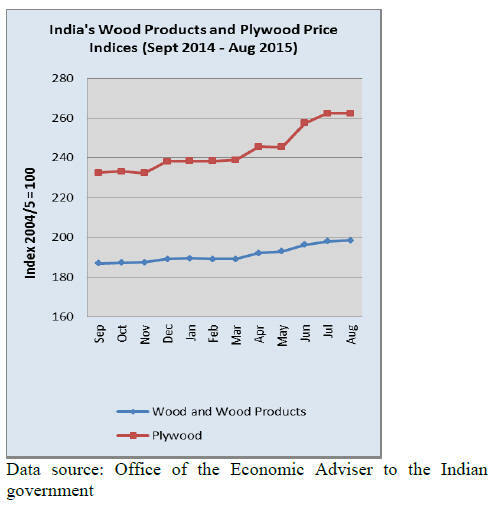 wood products has fallen sharply. 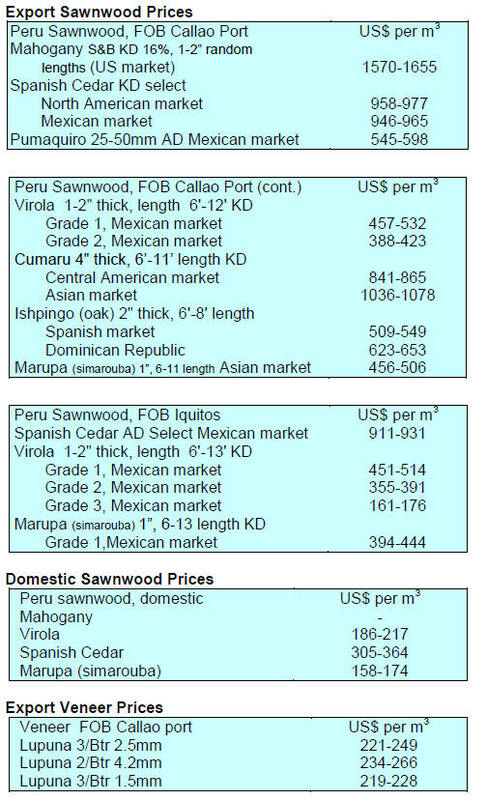 plywood by Mexico, currently at 6%. 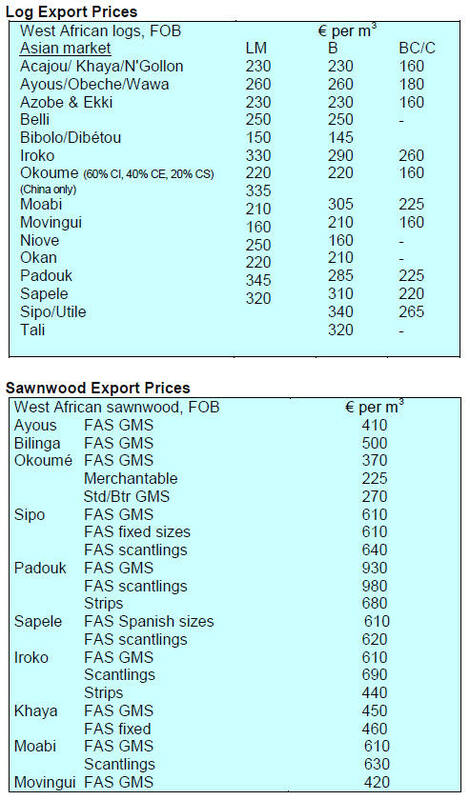 Products) on plywood (now levied at 5%. dollar in recent months has favored Brazilian exports. from US$229,8 million to US$216,0 million. million to US$ 11.4 million. 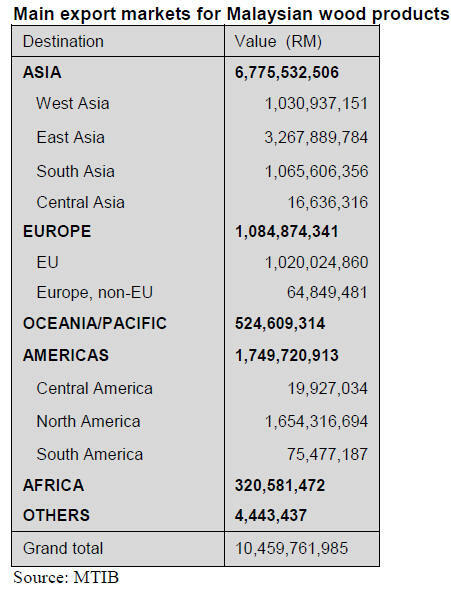 of exports (96,800 cu.m to 103,900 cu.m,). dropped almost 20% year on year. sector is encouraged to invest in plantations. always high and the returns only accrue after a long time. associated with long term investments. 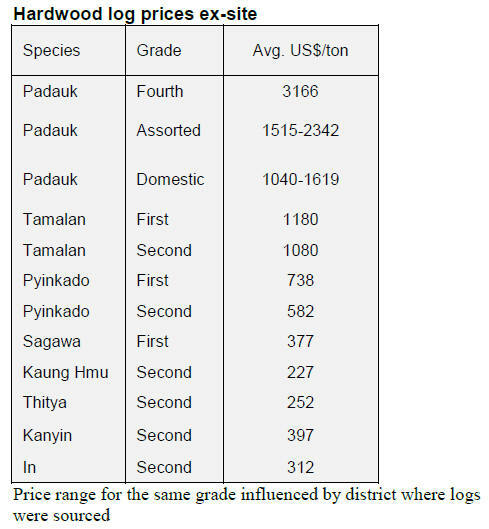 some 17 million hectares are suitable for plantations. experiences in community forest management. and the Research Institute of the Peruvian Amazon. 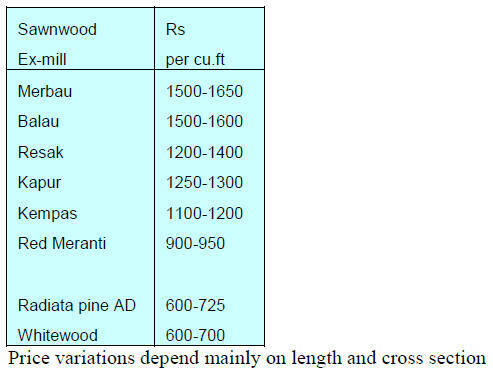 identification of forest species were shared. communities linked to community forest management.